Provide comfort for the family of Lawrence "Larry" Thompson with a meaningful gesture of sympathy. Lawrence E. Thompson, 80 of Ashland passed away, Monday, February 25, 2019 in University Hospitals Samaritan Medical Center. He was born on April 18, 1938 to the late Milo D. and Lucille G. (nee Cleckner) Thompson in Ashland. Larry graduated from Hayesville High School, Class of 1956. Following his graduation, Larry proudly served in the United States Air Force during the Korean Conflict from 1957 to 1961. He married the former Ellawayne Wrede on August 11, 2013. Larry was a member of Peace in the Valley Church in Mansfield. He previously was a member of Ashland Christian Center where he served as associate pastor and longtime usher. Larry was involved in the Hayesville Follies for many years and served as both President and Treasurer of Flame Fellowship. Throughout his life, he has enjoyed fishing, reading, music and singing. He is survived by his wife of five years, Mrs. Ellawayne Thompson of Ashland; two sons, Lawrence M. Thompson of Ft. Worth, Texas and Dwight (Guylamay) Thompson of Shreve; four grandchildren, Dustin, Brandi, Brandon, and Kelsey; three great grandchildren, Cali, Calyn, and Braden; three sisters, Carol Icenhour of Ashland, Patsy Briggs of Ashland, and Lawana Roberts of Mansfield; two brothers, Duane (Sharon) Thompson of Alliance and Gaylord (Amber) Thompson of Ashland; and numerous nieces and nephews. In addition to his parents, Larry is preceded in death by his previous wife, Ruth A. Thompson; one sister, Norma Dickinson; and two brothers, Milo “Jack” Thompson and Lamont Thompson. Funeral services will be held, Saturday, March 2, 2019 at 4:00 p.m. in the Denbow-Gasche Funeral Home with Pastor Wetzel Hunt officiating. Interment will be in the Ohio Western Reserve National Cemetery. Friends may call two hours prior to the service from 2:00 p.m. to 4:00 p.m. in the funeral home. In lieu of flowers memorial contributions may be made to Samaritan’s Purse, P.O. Box 3000, Boone, North Carolina 28607. 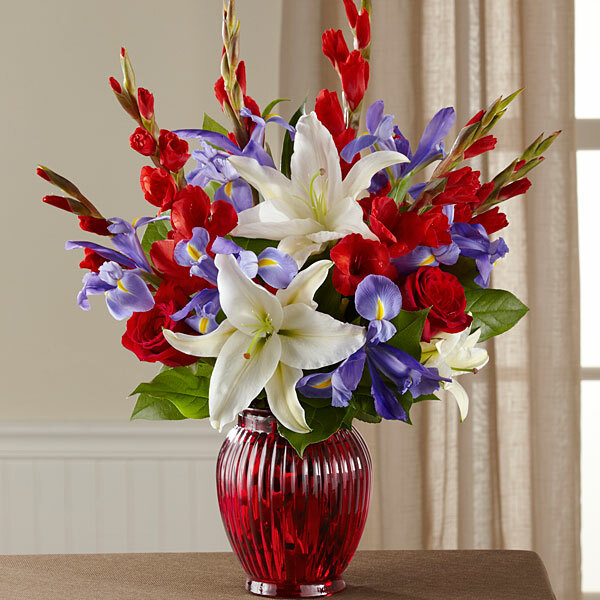 To send flowers in memory of Lawrence "Larry" E. Thompson, please visit our Heartfelt Sympathies Store. We encourage you to share your most beloved memories of Lawrence "Larry" here, so that the family and other loved ones can always see it. You can upload cherished photographs, or share your favorite stories, and can even comment on those shared by others. Gregg A. Thompson sent flowers to the family of Lawrence "Larry" E. Thompson. Gregg A. Thompson purchased flowers for the family of Lawrence "Larry" Thompson.